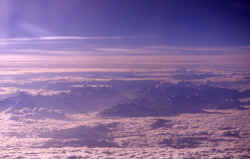 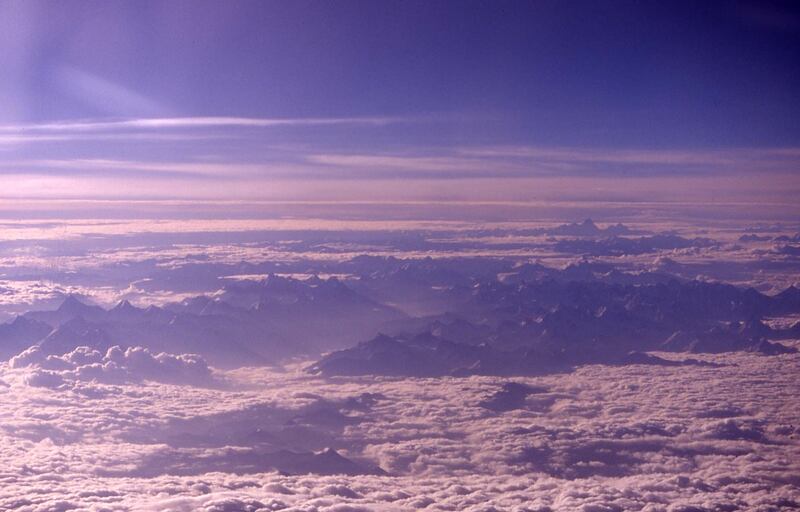 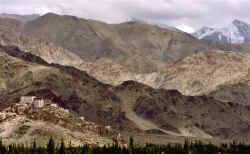 View from Delhi to Leh out of the right side towards the east - Garhwal Himal and Nanda Devi must be somewhere there. 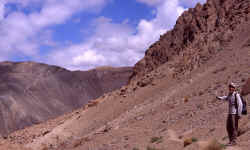 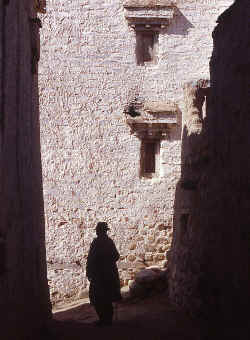 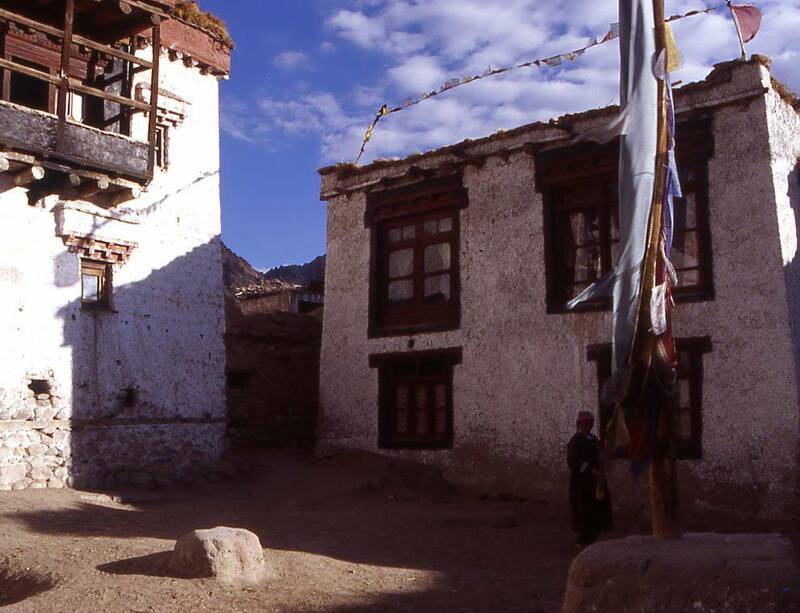 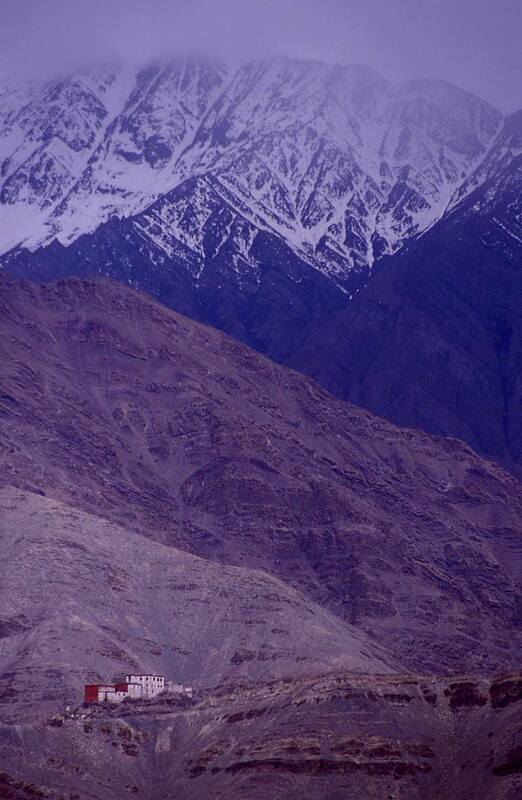 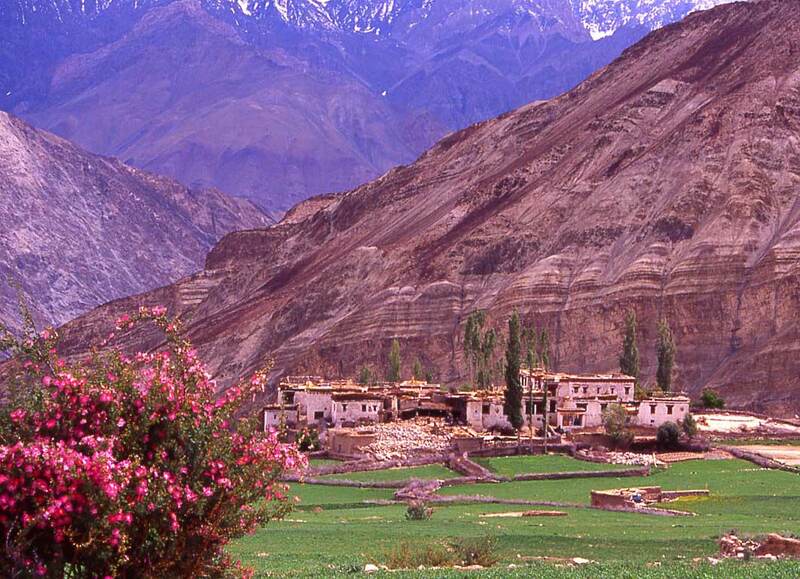 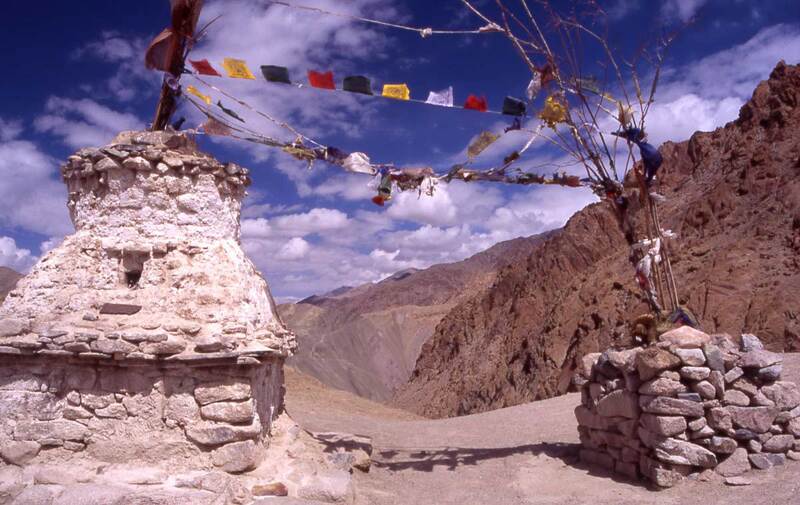 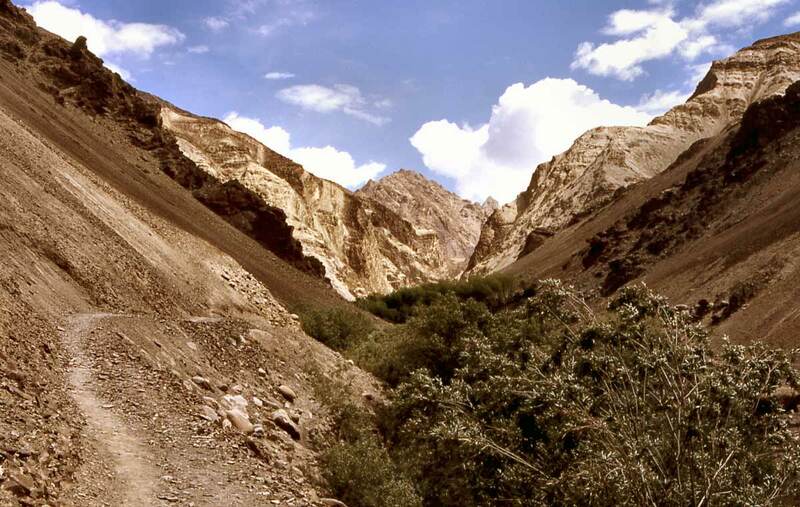 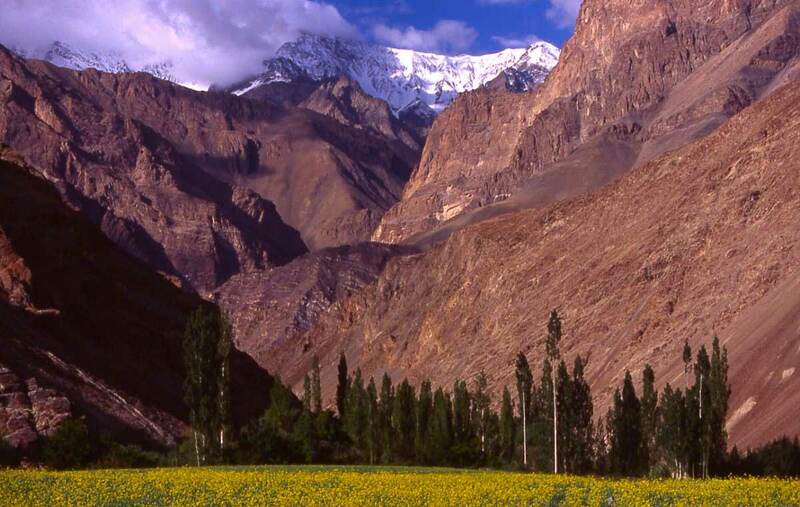 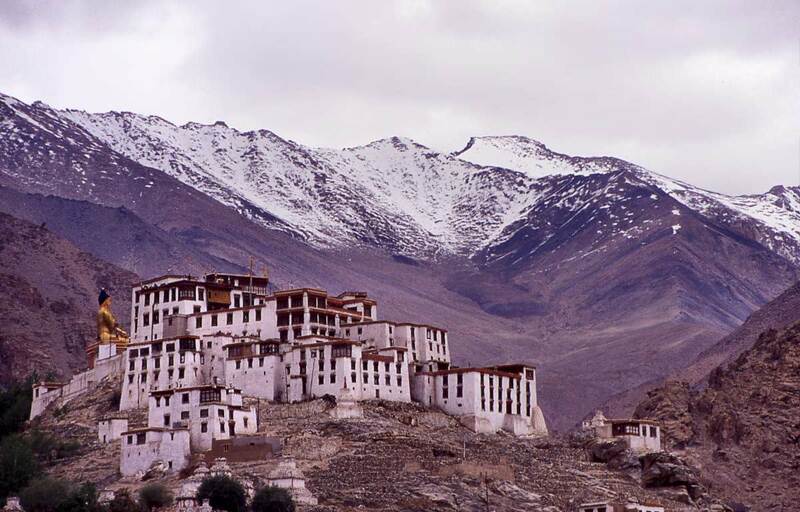 The old fort and monastery of Leh are a reminder of the town's central location in the Silk Route's southern branch. 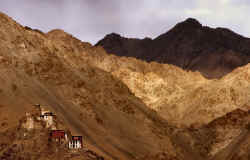 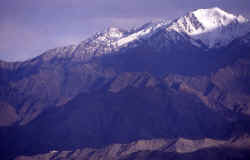 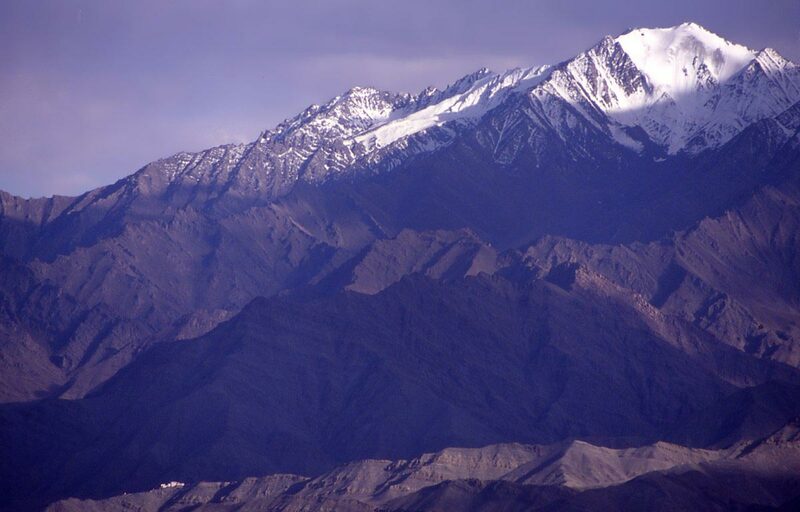 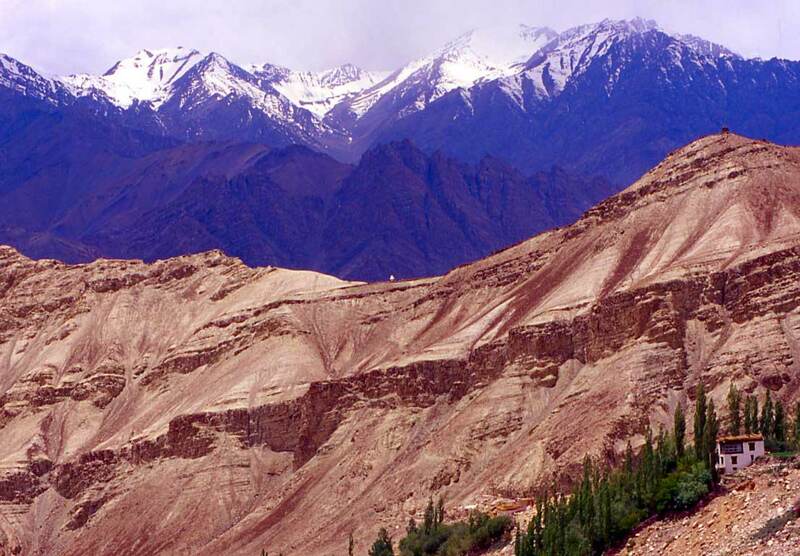 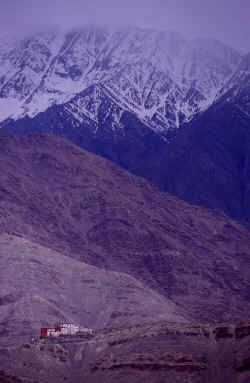 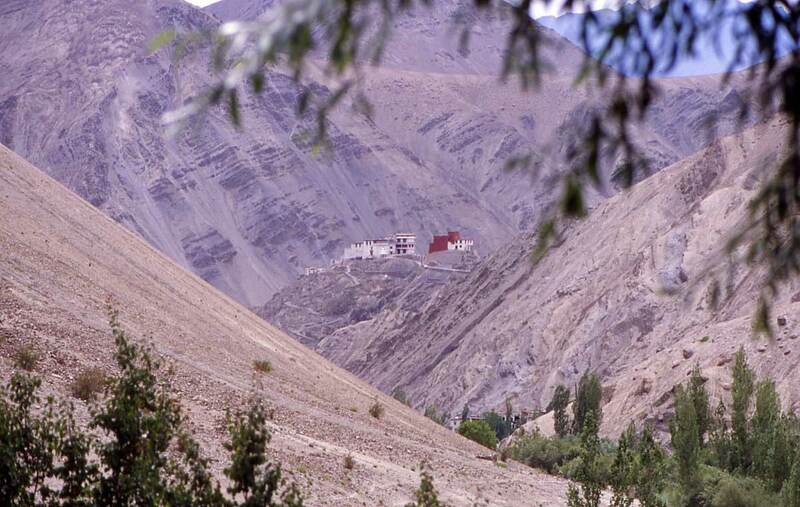 The only Shakya monastery in Ladakh is situated on a ridge connected to the dark ranges. 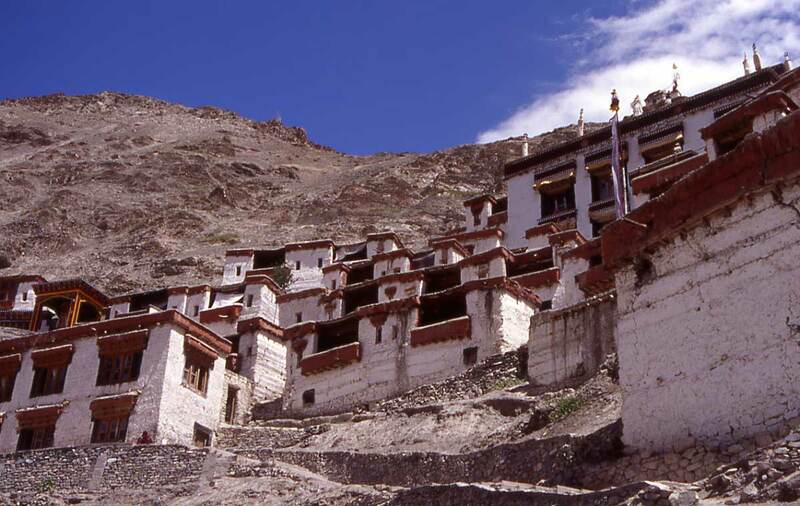 In the fertile Indus valley, dozens of monasteries were built on commanding positions. 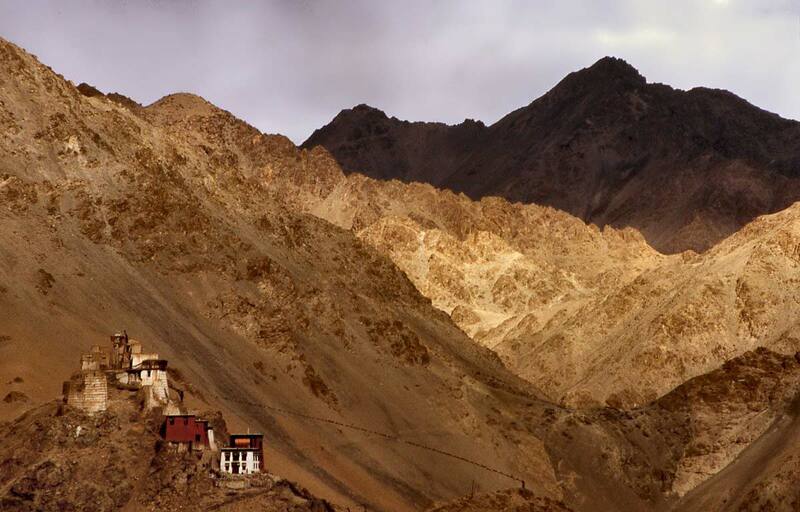 Mathok monastery stands out against the monsoon clouds that make it over the Ladakh range. 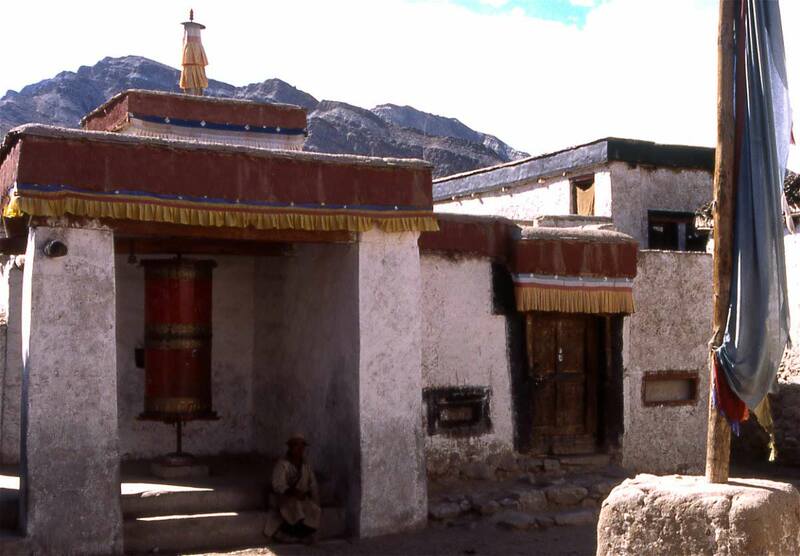 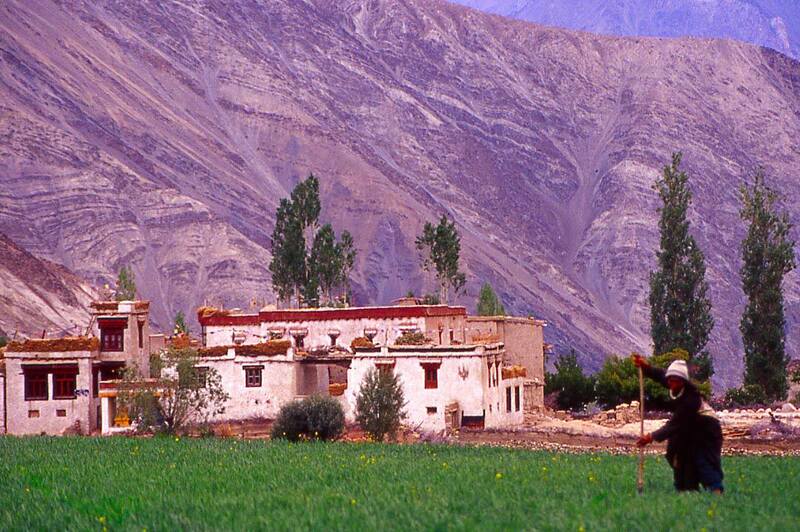 Likir monastery is situated 2 hours west from Leh and my starting point for the easy three day trek. 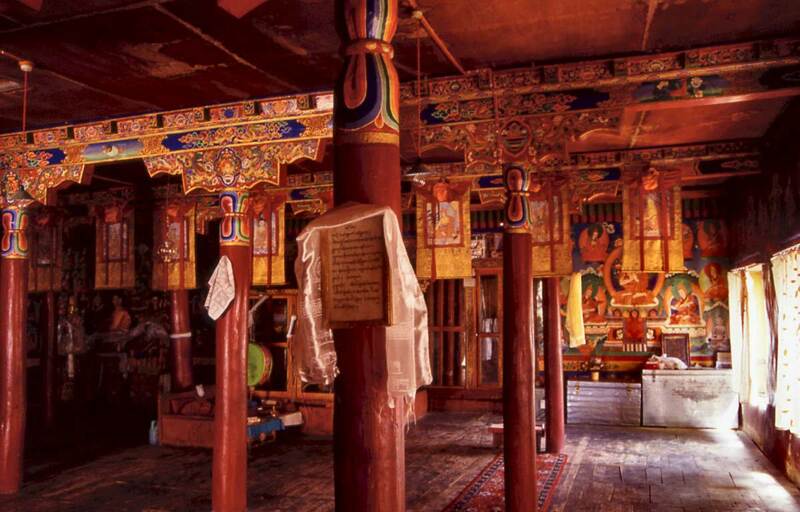 Assembly hall of Likir monastery. 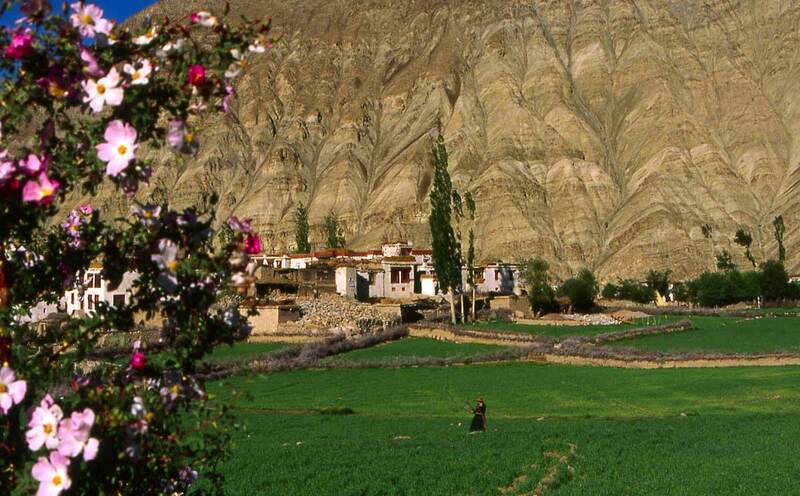 A few minutes outside of the village, view towards the Zanskar range. 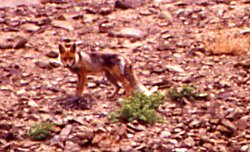 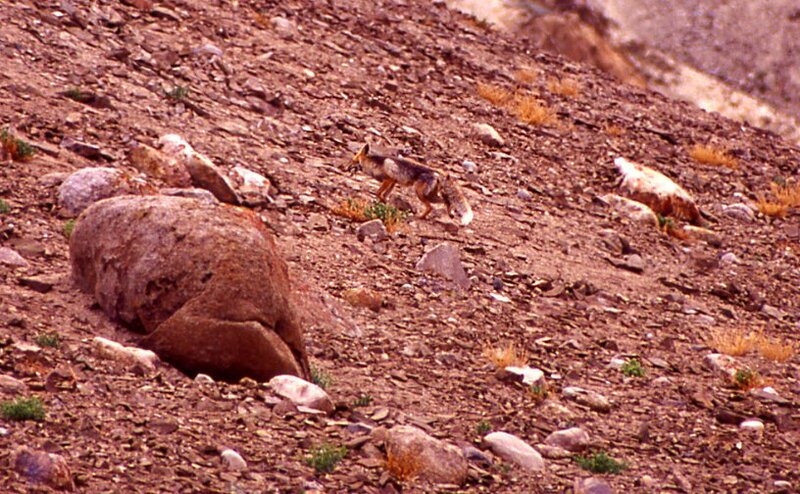 Fox on the way to the first pass. 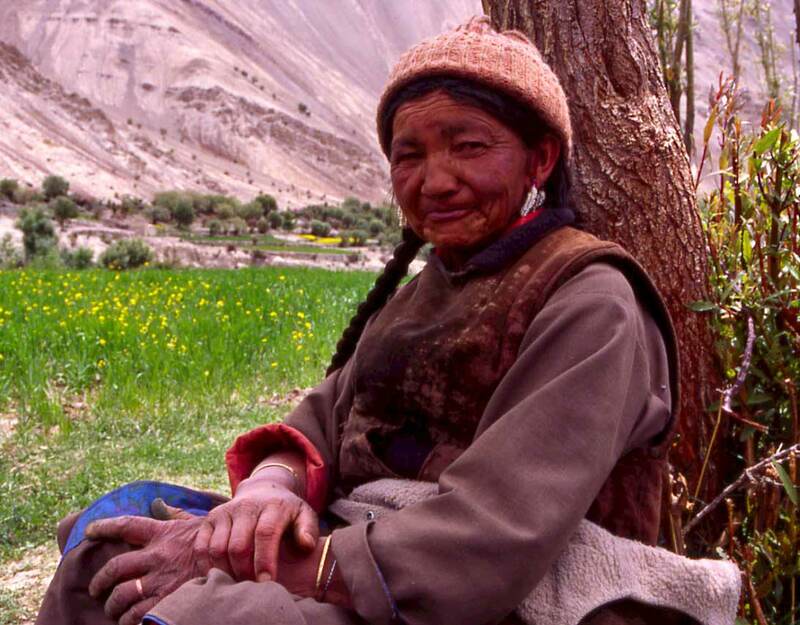 Woman of Sumdo takes a break from working in the barley field. 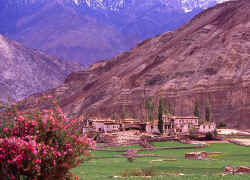 Yangtang is a pretty village 4 hours after Likir, and a good place to stay for the night. 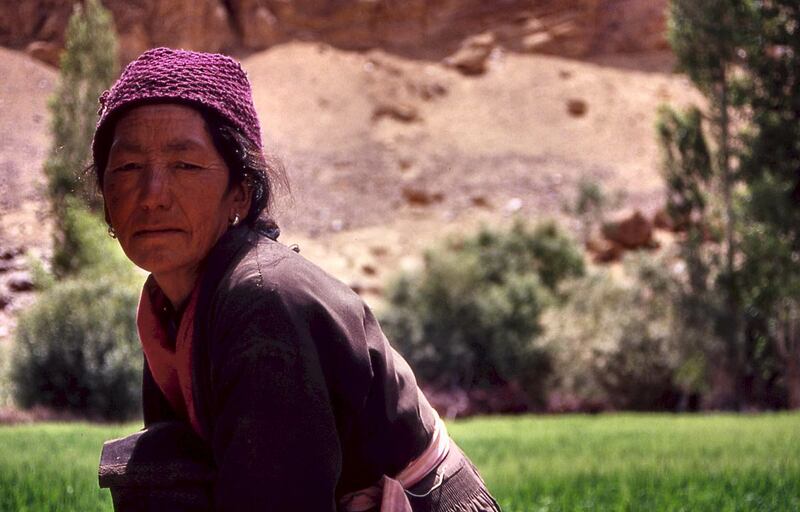 Barley is the staple diet in Ladakh, and women work in the fields most of the day. Inside the village, narrow alleys lead to the center where the monastery forms the middle of the small town. Prayer wheel in front of the monastery. 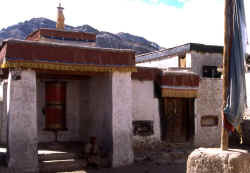 Courtyard and meeting point, the dozen houses of Yangtang are built . 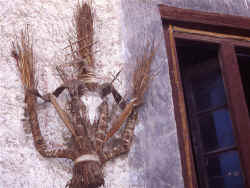 Ghost trap over the entrance, a common sight in remote villages. 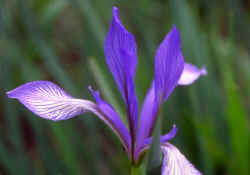 The morning sun brings out the stunning colours. Gentle walk between barren hillsides along the creek. 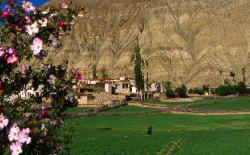 Vegeration along the Wuleh Tokpa surprises with its colours. 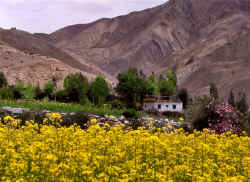 Colourful flowers bloom in the the fields. 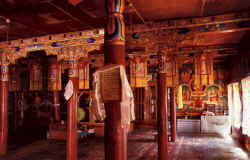 Two hours south, in a hidden sidevalley, lies the large Gelugpa monastery of Rizong. 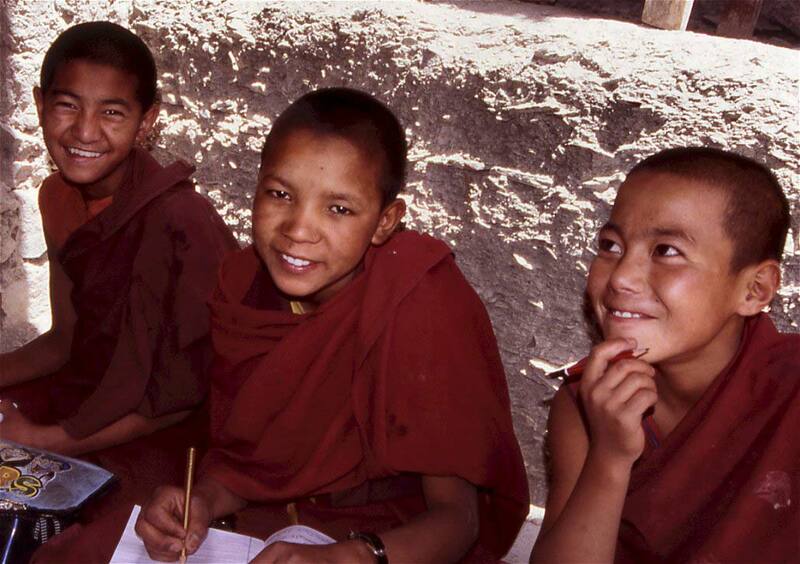 Novice monks learn English, math, Tibetan and Buddhist philosophy. 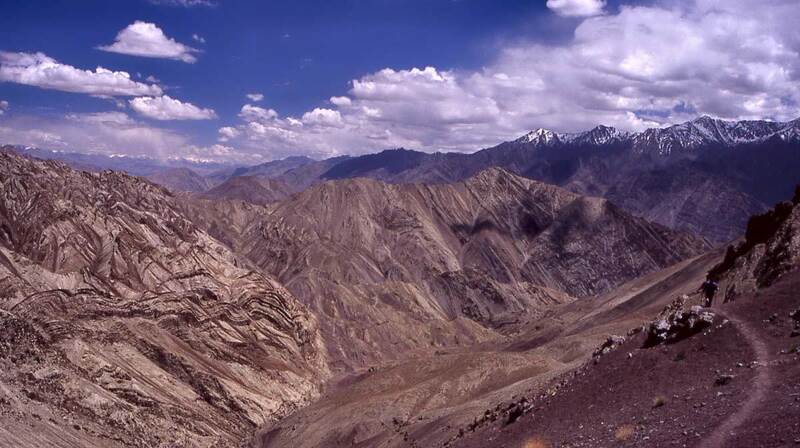 Climbing up the pass, looking back to Rizong valley. 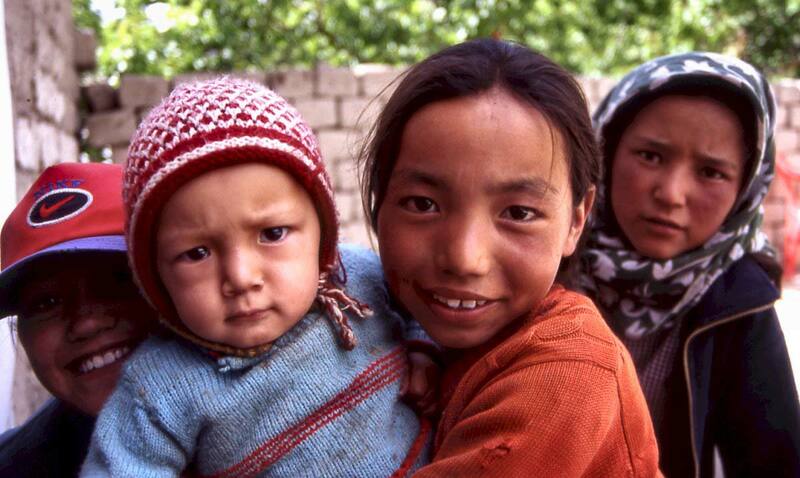 Kids in Hemis Shakpachen who helped me find a place for the night. 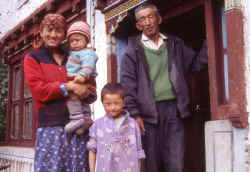 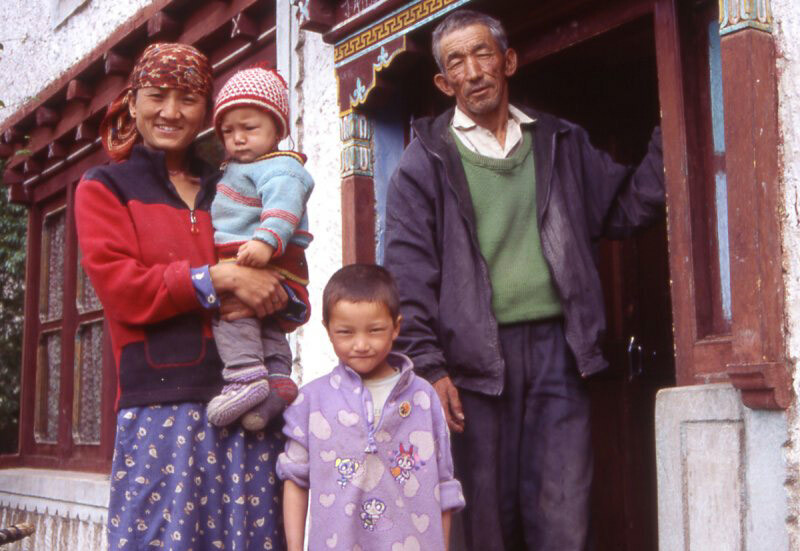 Family running the guesthouse in Hemis. 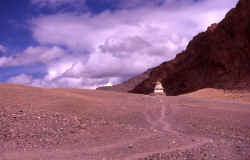 Chorten after Hemis indicates the way. From top of the unnamed pass, the next (and final pass of Lago La) is already visible. 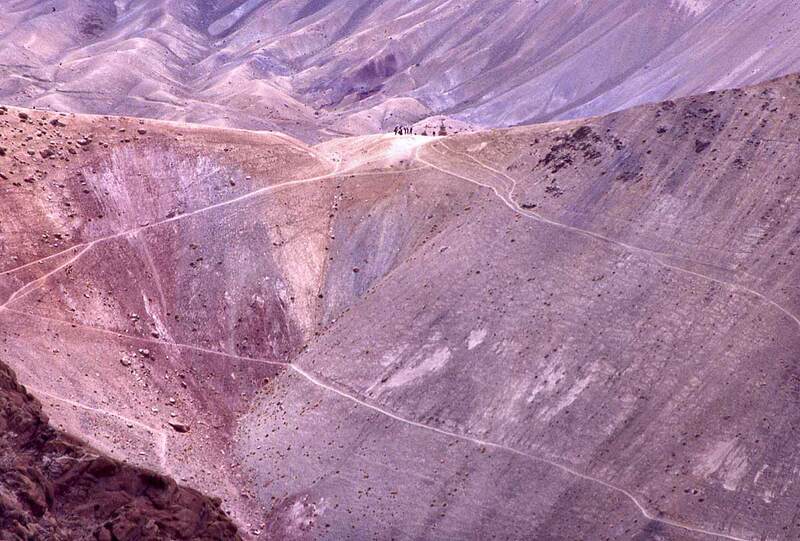 Tourists on their way up to Lago La, the climb is actually shorter and easier than it looks from a distance. 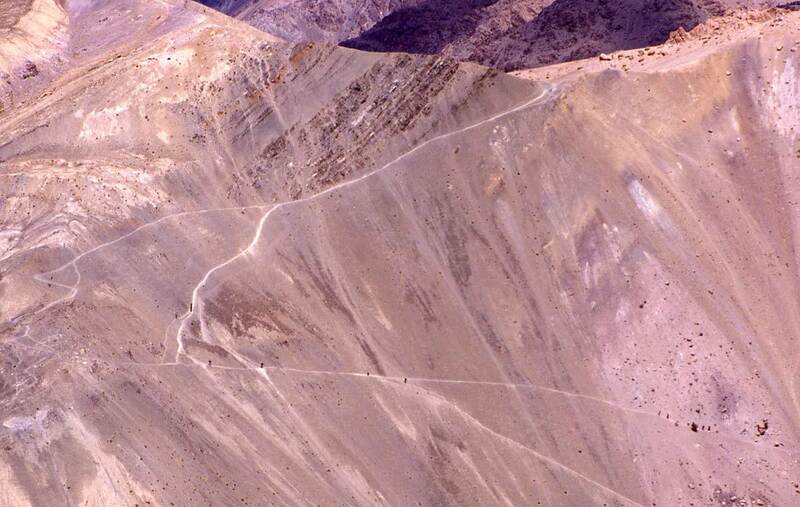 It's usually easy to make out the trails, this one leading up to the last one before it goes gently downhill to Ang. Looking back from Lago La towards Hemis and the unnamed pass which I crossed just half an hour earlier. 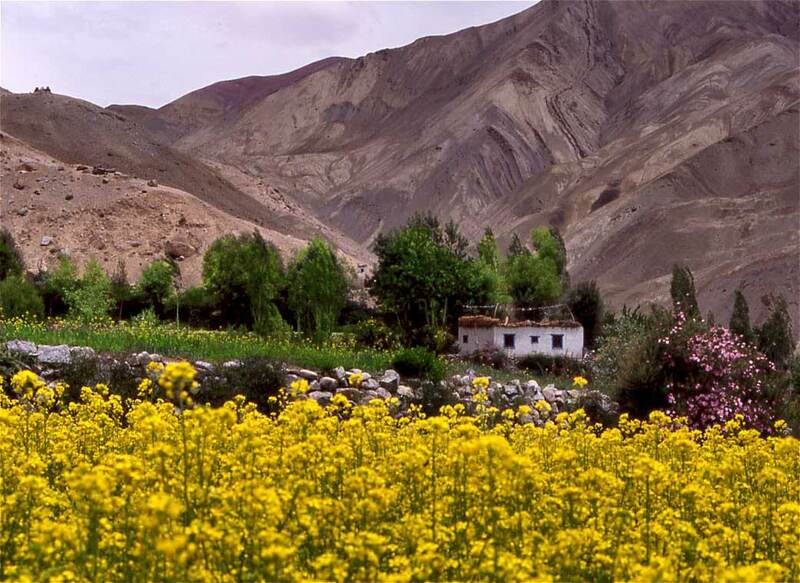 After the two hour walk in barren landscape, the lush valley of Ang seems like an oasis. Local farmer in Ang who takes a short break from work in the fields. 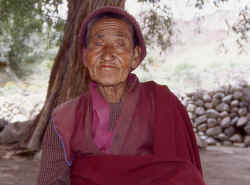 A nun from Rizong nunnery is visiting friends in Ang. 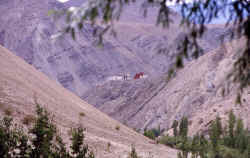 The gompa of Timosgang comes in sight first, the village lies at the bottom of the valley between fields and trees of apricot, apples and walnut. 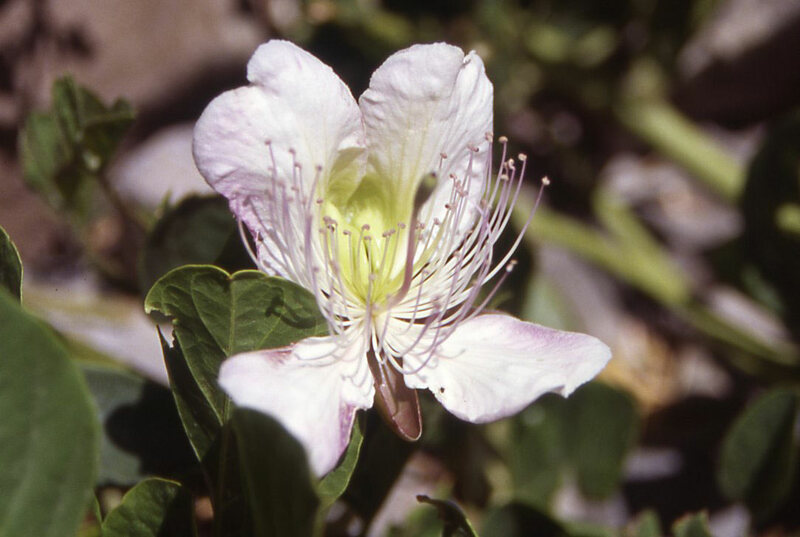 Wide fields of Temisgon are a sign of its prosperity. 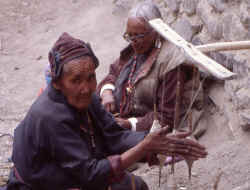 The young generation uses motorbikes and cars, their grandparents still live very traditionally - spinning wool is a traditional "past time".